Scrap recycling industry is one of the major contributors to economic growth globally, and the cross-border trade of recyclable materials. Scrap recycling plays an important role as rapid industrialization does not have to depend completely on exploiting natural resources. This results in more demand and opportunities in the international scrap market. The major hurdle faced by scrap recycling industry in Saudi Arabia is unpredictable and sudden change in regulations by the government. Scrap materials are under strict movement control; import/export tariffs, commodity licensing/certification, inspection and quarantine which pose major challenges to exporters and recyclers. Commodities like battery scrap, lead plates, lead oxide, rains, reels, rubber tubes, etc. are not allowed to be imported due to the nature of cargo. Tough market conditions coupled with regulatory hurdles have led the scrap recycling sector in Saudi Arabia to be reeling under margin pressure. The Saudi Arabian Government created Scrap Metal Centers (SMCs) near major industrial hubs and scrap yards were shifted to these locations. SMCs promoted by the Government are equipped with shredders, separators, etc. In the UAE, major recycling clusters and free zones are situated in Jebel Ali. However there has been no coordinated effort to create a common scrap recycling cluster in GCC. Recycling sector in UAE is getting more organized while things are at nascent stages in Saudi Arabia. The number of companies operating in recycling sector is increasing steadily in UAE. Bee’ah’s MRF in Sharjah, one of the largest worldwide, has significantly improved recycling situation in the country. On the other hand, recycling in Saudi Arabia is dominated by informal recyclers who operate under lot of constraints. Currently, KSA has no material recovery facility in any part of the country, and most of the collected garbage in sent to landfills/dumps for disposal. 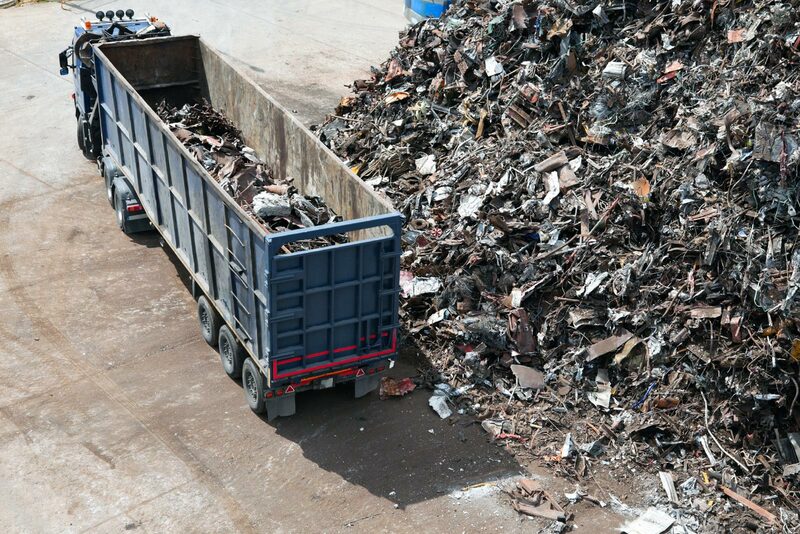 Scrap recycling in Saudi Arabia is expected to improve marginally within the next 5-10 years. Lack of effective laws/regulations, lack of infrastructure (recycling centers, MRFs etc) and lack of public participation are the main reasons behind low recycling percentage in the oil-rich Kingdom.